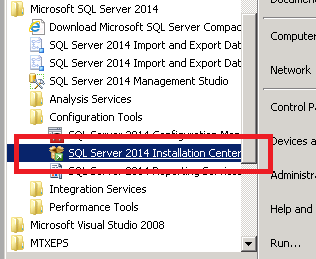 During one of the Sql Cluster set up in our lab environment, we ran into this interesting (and common) error message. 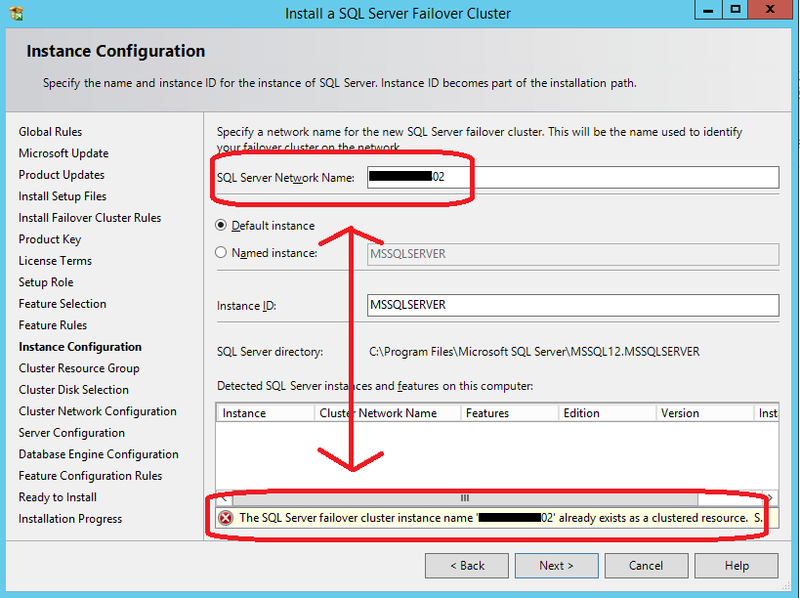 The Sql Server failover cluster instance name '' already exists as a clustered resource. Specify a different failover cluster name. Turns out, the sysadmins created a Resource Group with the same name and allocated all the cluster disks to it. 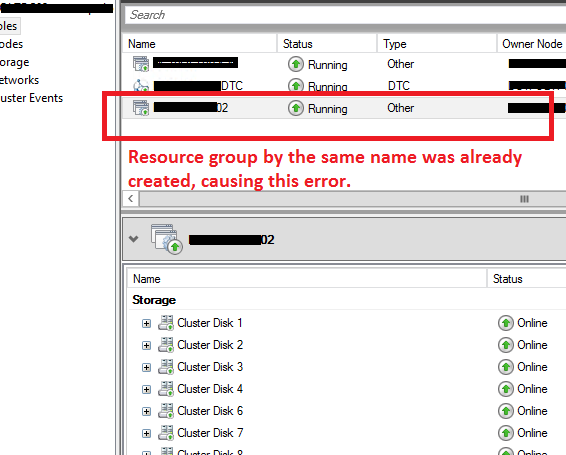 So, when I attempt to create a new Resource Group (for Sql Server resources), it throws this error. Solution: Once the dummy resource group was removed, the cluster set up wizard progressed without any errors. The moral of the story is, when we are about to create a resource group, make sure a resource group by the same name does not already exist.